Roald Dahl’s amazing tale is now Schenectady’s golden ticket! It’s the perfect recipe for a delectable treat: songs from the original film, including “Pure Imagination,” “The Candy Man,” and “I’ve Got a Golden Ticket,” alongside a toe-tapping and ear-tickling new score from the songwriters of Hairspray. Get ready for Oompa-Loompas, incredible inventions, the great glass elevator, and more, more, more at this everlasting showstopper! The Sunday 2 pm performance will feature a sign language interpreter. To request access to this section, please call our box office at 518.346.6204. Book your pre-show dinner at Druthers Brewing Company in Schenectady and show your Charlie and the Chocolate Factory tickets to receive 10% off. *Offer valid only at Schenectady location on February 26, 27 or 28, 2019 with tickets to this show presented. 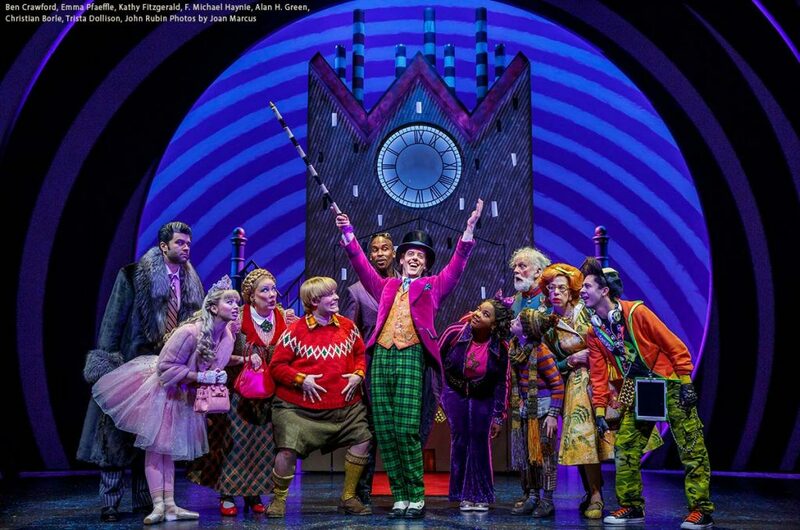 Don’t miss the Golden Ticket Giveaways during select evening performances of Roald Dahl’s Charlie and the Chocolate Factory at Proctors! *Golden Ticket Giveaways will occur during the Tuesday, Wednesday, Thursday and Friday evening performance as well as the Saturday Matinee performances. Use promotion code WONKA4PACK during checkout to receive your discount. *Offer only valid on select seats at Tuesday, Wednesday, and Friday evening performances. Other restrictions apply. Teachers and Educators receive a 10% off discount* to the Friday night show of Charlie and The Chocolate Factory and an invitation to a private pre-show party: Join us from 6:30-8p.m. in the Delack Guild Room for a cash bar, food provided by School of The Performing Arts at Proctors and theREP and a private area to mingle with other Capital Region educators prior to the show. Patrons who attend the Saturday matinee performance will have a chance to win one $50 gift certificate to Druthers! Special Thanks to the Sub-Sponsor of the Saturday matinee performance, Druthers!